Frans Neus’ mother was a stay at home Mom, who liked to sing operetta pieces during family festivities. As a small boy he listened bashfully to her voice underneath the table. He would continuously take the record with the famous "Radetzky March" out of the cabinet. Coincidence? Now he works with excessive energy behind the scenes to make Rieu’s dreams into an overwhelming success. "There Are Three Complete Sets For Each Instrument And Decor"
"I started to work for André on January first, 2001. Many facets of my work are very different and difficult to delegate; together with an entire team I do the ticketing, part of the logistics, marketing, the personnel department and visas. I also do legal matters, such as contracts for (guest) artists, CD/DVD contracts, publishing contracts and intellectual property rights. The logistics are unbelievable, as an example, we have three complete sets of every instrument and décor, which travel the entire world. A series of concerts in different countries requires a sophisticated approach. Transportation and accommodations for the orchestra and crew must be provided to perfection. When we travel less than 700 kilometers (420 miles) it is often more efficient to travel in our own very comfortable busses rather than going by airplane; the checking in and out, the security controls of personnel and baggage/instruments often requires too much time which in the end negates the gains we would have made had we flown. When André performed an open air concert in front of the famous Schönbrunn Castle in 2006 in Vienna, an idea evolved in him to copy the castle. In 2007 the largest transportable décor and erectable stage was completed; a 125 meter stage, 150 square meter LED screens, two fountains, and two 600 square meter ice rinks. The first two performances would be by the end of December 2007 in Toronto in front of sixty thousand viewers. To ship this décor to other continents, more than one hundred sea containers are needed. Only large stadiums such as in Melbourne, Toronto, Paris and the Amsterdam ArenA are sheltering this unparalleled visual spectacle. Maastricht is our home port and there in 2005 we started a tradition of open air summer concerts on the Vrijthof. André always invents a surprise and we invite a mystery guest. 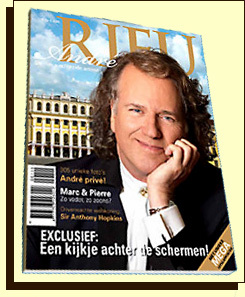 Sometimes I experience stress, but relatively little goes wrong, and with an average of ten thousand tickets sold per concert, this makes André the best selling classical artist ever. He has a strong vision and wants to pass his passion for music on to the people, which is an upright and pure motive. Most of his earnings flow back into the music and productions. I have the talent as it were to take off in a helicopter and overview the entire picture, and organize everything so that the phenomenon André and his people are perfectly able to perform. You will never get accustomed to the end result; in a full house, I experience great positive emotions." Frans Neus was born in 1954 in Meerssen. He hails from a large Limburg family with eleven children. They all maintain an impressive family web site with genealogy and birthdates. 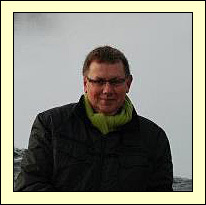 He is married to his wife Anja and they have a son, Menno, and a daughter, Marthe. Frans is even more talented than I realized. You know that someone or many work together to create the superb concerts that Andre and JSO put on. I have bought a lot of this year's CDs and DVDs for family and friends and I always include a copy of the Virginia Patriot Center review. That way, one gets an inkling of what goes on behind the scenes to produce such a quality product. Believe me, such performances don't just happen. Thanks again, for all these wonderful translations, John. Sorry, forgot to sign my name.